ATLANTA, August 07, 2007 – The Rechargeable Battery Recycling Corporation (RBRC) proudly announced today the promotion of three of the company’s employees. Linda Gabor, formerly the Manager of Marketing & Media Relations has been promoted to Director of Marketing & Media Relations, and Theresa Hall, formerly the Manager of Marketing Communications was promoted to Director of Marketing Communications. Additionally, Victoria Housley was promoted from a Marketing Specialist to a Marketing Manager. A graduate of Indiana University of Pennsylvania, Linda Gabor has been with RBRC since June of 2005. In her position as the Manager of Marketing & Media Relations, Gabor worked with internal marketing teams to develop and execute various programs tailored to retailers, businesses, and key vertical trades. She managed the overall public relations strategy for RBRC and was responsible for the development and execution of strategic communication plans, press releases and media events. In addition to serving as a company media spokesperson, Gabor also implemented and oversaw the operation of RBRC’s mobile marketing unit and also chaired RBRC’s comprehensive rechargeable battery awareness study. Before working at RBRC, Gabor worked in the advertising industry where she coordinated and planned various print, broadcast and radio ad campaigns. Theresa Hall has worked with RBRC for ten years and is a graduate of Flagler College in St. Augustine, Florida. In her most recent role, Hall was responsible for RBRC’s public education campaigns, including print and television advertising campaigns and public service announcements. Additionally, Hall ensured quality control and proper representation of the RBRC seal and logo in materials prepared by participating OEMs/licensees and retailers. In addition, she worked on RBRC’s school curriculum, the RBRC Web site, toll-free consumer hotline and marketing materials. Hall also spent a significant amount of time working on public relations programs, media and partner relations, tradeshows and event marketing. Prior to RBRC, Hall developed corporate identity campaigns for environmental engineering firms and on-air television production for a broadcast news station. Originally a native of Tapei, Taiwan, Victoria Housley graduated from Newberry College in South Carolina. Housley began her career at RBRC in 2000 as a Recycling Services Assistant and was later promoted to a Marketing Specialist. In her most current role, Housley managed national and regional tradeshow logistics, fulfillment center activities, program guidelines, marketing materials, RBRC’s Chinese Web site and bilingual literature. Her previous experience includes work in the translation and cellphone industries. The efforts of RBRC’s marketing and media teams were instrumental in helping the organization achieve significant results in recent years. RBRC successfully collected more than 36 million pounds of rechargeable batteries since 1996, with 5.6 million pounds collected during 2006 alone. 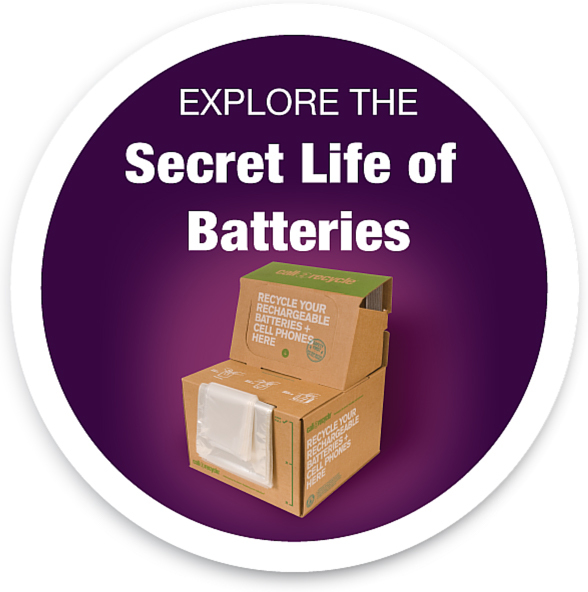 Call2Recycle is the industry’s first and only product stewardship program for rechargeable batteries. The nonprofit program is administered by the Rechargeable Battery Recycling Corporation (RBRC), a public service organization dedicated to rechargeable battery recycling. There are more than 30,000 Call2Recycle drop-off locations throughout the U.S. and Canada. More than 175 manufacturers and marketers of portable rechargeable batteries and products show their commitment to conserve natural resources and prevent rechargeable batteries from entering the solid waste stream by funding the Call2Recycle program. In pursuit of its mission, Call2Recycle also collects old cellphones, which are either recycled or refurbished and resold when possible with a portion of the proceeds benefiting select charities. For more information, call 877-2-RECYCLE or visit www.call2recycle.org. The Call2Recycle Battery Seal Celebrates Its 20th Birthday!